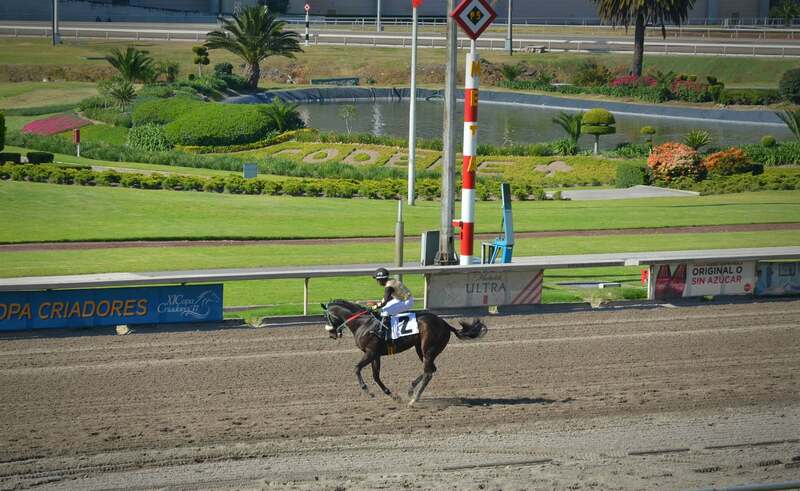 Following the 7th annual Copa Criadores, Bristolatino contributor Vladimir Lazareff gives us an insight into his experience of horse racing “a la mexicana”. During my stay in Mexico, I was lucky enough to experience a unique feature of Mexican culture: horse racing. 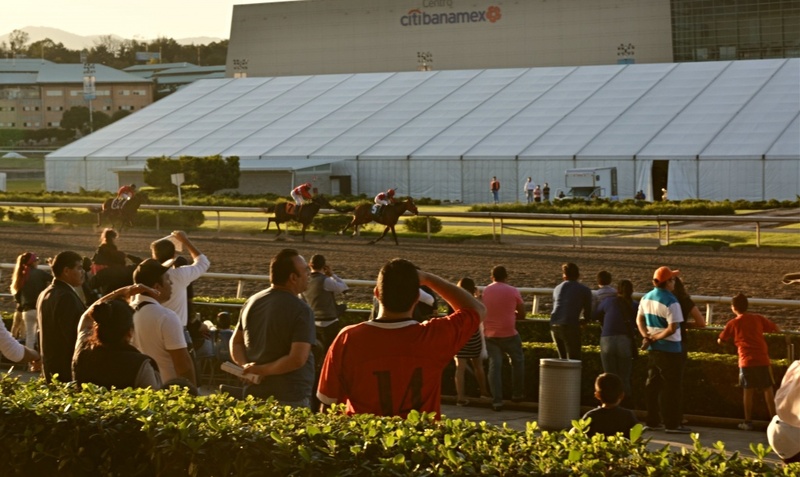 Although I had already been to the races in the UK and France, I was very intrigued by the idea of experiencing it in Mexico City. I was surprised when I discovered the Hippodromo de Las Americas, located right in the centre of the city in Las Lomas de Chapultepec. I found out from friends that it was indeed a great place to spend an afternoon if the weather allowed it. So I immediately went online, and saw that the Copa Criadores was happening that Sunday. On a sunny afternoon my Argentinian flatmate and I jumped into a taxi and headed to the racecourse. It was roughly a 10-minute drive from the Roma Norte district, I was surprised that it was in such a central location within the city and I had not realised it was there. Tickets were available to buy on the door and cost us only 30 pesos (£1.15), an incredibly low price compared to the UK where the minimum price is usually about £20. This was the cheapest ticket available and we thought we would upgrade later if we wanted something less restrictive. The Mexican races were a real insight into Mexican society. The crowd was diverse and people had clearly come for different reasons. The Hippodrome attracts a variety of different people, there are those who see the races as a social occasion, a place to occasionally meet for a drink but there is also a strong working-class presence who take racing very seriously especially given that racing in Mexico is more ingrained into rural Mexican life. A group of middle-class Mexicans invited us to join them at their table, they were mostly students from prestigious universities or people who worked in the City. Most of them came from Polanco, an expensive district of Mexico City and they looked the part too, in their shirts and white summer clothes. 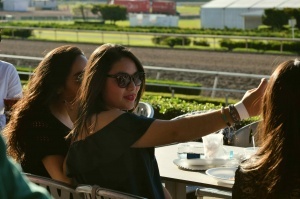 They told me they loved going to the races where they would meet their friends and enjoy an afternoon in the sun. I realised quickly that none of them were interested in the actual horseracing but more interested in taking selfies but at least they were having an enjoyable time. Later we met Roberto, a retiree in his late 60s who was sat in the shade on a row of chairs occupied by some of his friends of the same age, all of them pen in hand, engrossed in their racing programs and getting ready to place their bets. I chatted to Roberto asking him how often he went to the races and if he had any tips on the horses and riders that were to come. He explained that the races and his racing friends were an essential part of his life and that he would go on a regular basis, at least twice a week. They would meet and sit in their shaded seats to watch the more agitated spectators liven up the Hippodrome. Roberto was not a gambler, he was not concerned with the money and only made very small bets in order to take part in the game. He described his time in the Hippodrome as similar to that of his retirement, both relaxing and sociable. While you had Roberto and his retired friends enjoying the races and relaxing, there were also the younger, rowdier Mexicans on the tracks, treating it as they would a Lucha Libre (Mexican wrestling), they drank huge beer cocktails known as micheladas while they cheered with pure excitement. From my conversation with Roberto I realised that the races were truly a place for everyone and the mix of social groups built a very special atmosphere. The Hippodrome seemed to break down the social barriers that were experienced in the city. The Copa Criadores is a two-day event and the most recent race was its 7th meeting. The track is 1.4 km (0.9 miles) of flat sprint on sand which means the major dangers of horseracing racing – for both the running jockeys and the horses – are avoided as there are no hedges to jump or grass to slip on. There are 13 races in total starting at 2:30 pm and ending at 8:30 pm with 6 to 8 horses running per race but people rarely make it to the last race because it gets too dark. The Hippodrome is a modern and impressive space, the paddock for the horses and jockeys was in good condition and the track was immaculate. I was surprised that when it came to the actual racing, very few people paid much attention. However, I noticed the extent of the organization that took place. The treatment of the horses was good and it’s important to pay particular attention to this, the thoroughbreds (these are the pure breed horses used for racing) that were racing that day looked very healthy, groomed and well taken care of. Interestingly, many of the horses were of US descent, with either a one or both parents being from the US. The atmosphere was brilliant, the racing was incredible and the drinks were flowing. As it wasn’t too busy that day, we were free to go virtually anywhere we wanted – except for on the track itself – including the the VIP lodges which were virtually empty. The fun was collective, everyone was in a great mood and looked fantastic. The icing on the cake, or more like the salsa on the taco, was the mariachis. They would walk around the tables playing Mexican classics as people enjoyed their 1 litre micheladas con clamato, which might be the most unique feature of Mexican drinking culture: Corona beer mixed with tomato juice (the so-called clamato juice), freshly squeezed lime juice, Maggi sauce and a dash of Worcestershire Sauce, a kind of Mexican Bloody Mary. 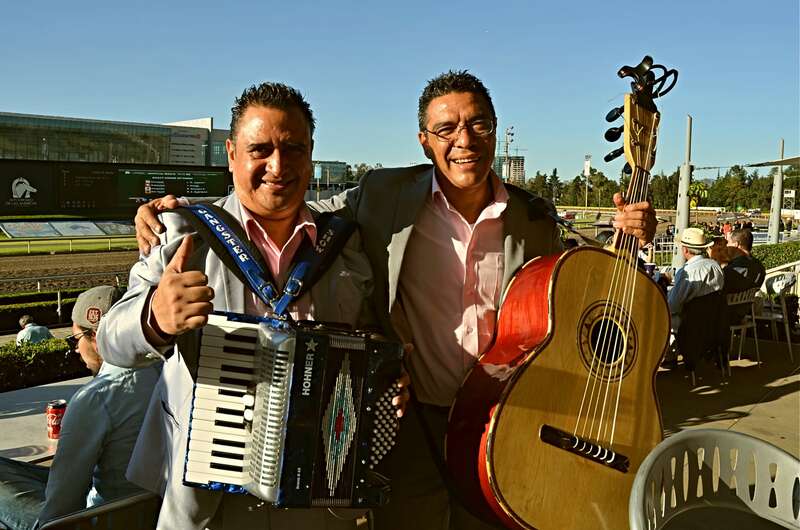 The Copa Criadores is a truly unique experience of Mexico City life and the Hippodomo de las Americas is a great place to spend a Sunday afternoon. This is the sort of experience that is not mentioned by tourist guides but if you would like to feel the “onda mexicana” and are lost for what to do when passing through Mexico City then go and check out the tracks for yourself.